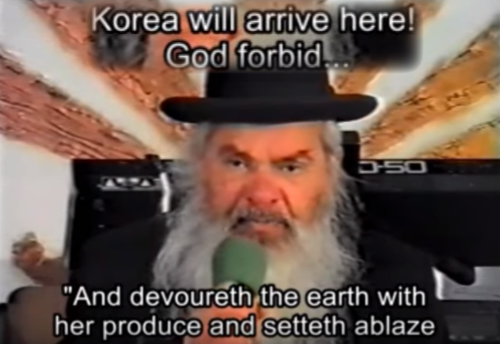 1994 Prophecy Warned "Korea Will Devoureth The Earth And Setteth Ablaze"
According to this new story from Paul Joseph Watson over at Infowars that the Drudge Report linked to Thursday morning, the upcoming nationwide 'Earth Ex exercises' that will simulate a 'subcontinent-scale, long duration power outage' with cascading failures across all other infrastructures could be a sign to us to dust off the old generators and stock up on storable food. For those who have yet to hear of the Earth Ex exercises coming on August 23rd across the country, 'black sky hazards' abound in this 21st century world we live in, with natural or man-made events that are inevitable at some point in our future claim experts, that could take down our electrical grid for an extended period of time. Events that we've previously warned about on ANP that could send our country, immediately, back to the 'dark ages'...back to a time without electricity, the internet, ATM's, the conveniences of modern grocery stores and worldwide communication at our fingertips. As we read below in an excerpt from the Infowars story, experts believe its not a matter of 'if' but 'when' such events occur and we find it may be more than just a coincidence that preparation is taking place now for 'an event' at the same time tensions are ramping up on the world stage with North Korea. As we read from Watson, concern is now being expressed at the very highest levels of government that a massive cataclysm may be ahead for us. Given the soaring tensions between the United States and North Korea, which has threatened to attack the U.S. territory of Guam, the timing of the EarthEX2017 exercise couldn’t be more appropriate. According to former Florida Congresswoman Michelle Rehwinkel Vasilinda, North Korea’s saber rattling is making top brass “anxious” about potential society-changing disasters. Experts also warn that with Kim Jong Un's North Korea allegedly having a miniaturized nuclear weapon, possibly capable of being used in an EMP attack upon our nation, such 'black sky exercises' are more important now than ever. And as we reported on ANP back on July 9th, the Council on Foreign Relations recently put out a report within which they warned that enemies of America or of the current administration could take down our power grid to undermine President Trump's support. Was the CFR foreshadowing tragedy? 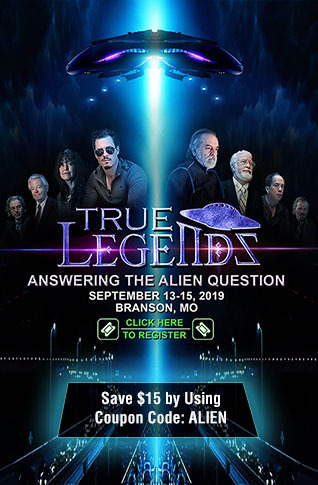 As former Ronald Reagan Assistant Defense Secretary Paul Stockton recently warned, "we're nowhere near where we need to be" as a nation to deal with a 'black sky event,' whether man-made or natural. 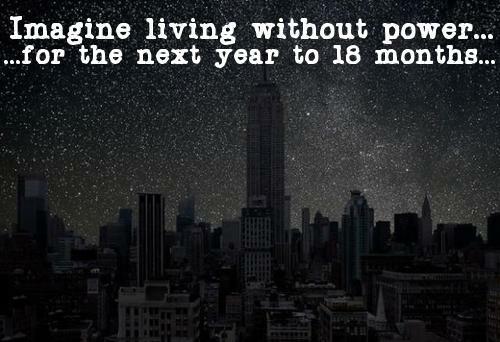 And as we've warned time and again on ANP, according to Dr. Peter Vincent Pry, a long-term power outage in America could eventually lead to the deaths of 90% or more of the population from starvation, disease and all of the chaos that comes with the total collapse of a society where most members of it are completely dependent upon electricity to function minute to minute, much less day to day. 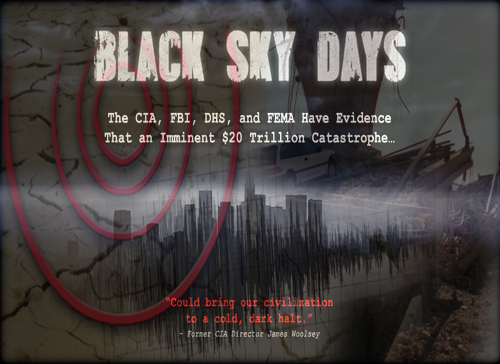 In this story we take a look at preparation taking place at the highest levels for 'black sky events' as well as some of the latest signs that the 'elite' will stop at nothing in their sick pursuit of a war with North Korea that could lead to them. We also take a look below at a 1994 prediction from a Jewish Rabbi who had earlier correctly predicted the '6 Days War', the Gulf War and the 1973 war and who warned 22 years ago that Korea would hold the nuclear key in the upcoming war between Gog and Magog, a nuclear 'key' which they didn't even have all the way back then. Rabbi Nachmani died within a month after he issued the warning heard in the 1st video at the bottom of this story. 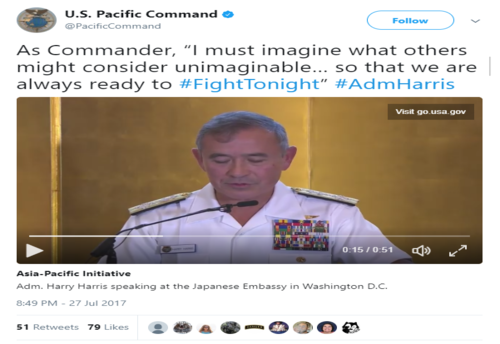 #FightTonight is a hashtag on twitter now seeing a lot of attention after Admiral Harry Harris, the Commander of the US Pacific Command, put out a statement saying “I must imagine what others might consider unimaginable… so that we are always ready to #FightTonight”, a statement that also triggered many liberals. And while most experts agree that any war against North Korea would verge on the edge of insanity, with massive losses of lives in the South Pacific and quite possibly here in the US, one comment left on the Pacific Command's twitter post as seen below perfectly sums up why it's still absolutely necessary to prepare for the unimaginable, to do so or not to do so could easily be the difference between life and death. While military leaders and experts know that a war with North Korea could easily be the worst kind of fighting that any of us have ever known according to the head of the US's Department of Defense James 'Maddog' Mattis, simply allowing North Korea to continue to develop more lethal weapons while it continues to levy threats against us could amount to national suicide for the US. Certainly any North Korean attack upon the US would be national suicide for Kim's nation. As has been warned, there are no easy military solutions to North Korea. While experts disagree over whether Kim and North Korea may or may not have a nuclear weapon that is able to strike America right now, it has been proven via now declassified reports that dating back to the 1990's, North Korea had at least 5 'commando terror squads' in the US, prepared to attack US cities and nuclear power plants should war break out between the US and North Korea. Anybody who thinks a war thousands of miles away from here wouldn't come home to US soil is probably vastly underestimating the threat which they pose and as Michael Snyder reported over at End of the American Dream back on April 13th, North Korea has one of the most lethal biological weapons programs in the world. "What are you going to do when North Korean agents release biological weapons in major US cities?" Snyder asked us. As we hear in the 2nd video below, ALL possibilities of war with North Korea now look quite 'hellish'. It's also been warned that North Korea's cyber warfare division is one of the most well trained and lethal in the world, helping to explain why these soon to be ongoing 'dark sky exercises' take on added meaning with some experts already blaming North Korean cyber terrorists for possibly taking down the grid in NY, LA and SF earlier in 2017. And just like Admiral Harris's warning that its his absolutely crucial job to imagine and prepare for what others might consider unimaginable, so it is up to us as individuals, families and communities to prepare for the very same possibilities. Because we all know that in a nuclear war scenario, the government isn't going to save us (though we've proven that Hillary, John McCain, Nancy Pelosi, Maxine Waters and the rest of the 'swamp' that needs draining surely have their 'golden tickets' into the bunkers). In this first video below, Rabbi Levi Saadia Nachmani, a man who had previously foreseen the 6 days war, the gulf war and 1973 war, shares with us his amazing prophecy about Korea and its nuclear weapons that Rabbi Nachmani foresaw bringing destruction to the world by bringing in the war of Gog and Magog. While the Pentagon here has just unveiled plans for a pre-emptive strike upon North Korea and North Korea continues to levy threats against the US and our interests abroad, will we soon witness 'fire and fury' on TV's and computer screens or will we see it in our own streets here in America? In this day and hour we're now living within, we pray for America. We pray for President Trump. We pray for the 'innocent' people of North Korea. We pray for the world.